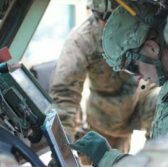 The Defense Information Systems Agency plans to award AT&T a contract to provide global network connectivity services to Pacific Air Forces. A FedBizOpps notice posted Sunday says the company would assess networks; establish a diverse communication virtual private network; perform integrations with FirstNet and NorthStar/LTEspeed networks; and provide tools for waveform capture and conversion through the proposed sole-source contract. FirstNet is a nationwide public safety network AT&T is building through a potential $6.5B contract awarded last year. Pacific Air Forces seeks the services in efforts to conduct a commercial network connectivity pathfinder, convert proprietary system waveforms into an internet protocol and integrate data with automated routing and related data.